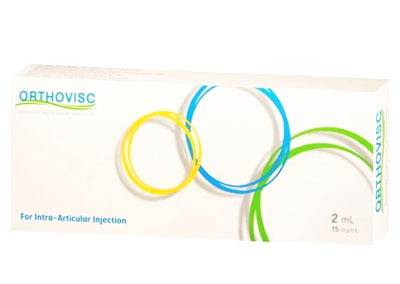 Orthovisc is an ultra-pure, high molecular weight injectable hyaluronic acid (HA) viscosupplement used to treat the joint pain caused by osteoarthritis. Orthovisc is comprised of highly purified sodium hyaluronate (NaHA) in physiologic saline, and it is both biocompatible and resorbable. 15mg/mL effective HA concentration.